Public health faculty members at Brown have studied the impact of recent hurricanes on nursing home and assisted living residents. Natural disasters are often particularly hard on vulnerable members of the community. Hurricanes are no exception. Brown University School of Public Health faculty members David Dosa and Kali Thomas, along with collaborators at the University of South Florida, received a $900,000 grant in early September from the National Institutes of Health to continue their work studying the impact of hurricanes on residents of nursing homes and assisted living facilities. Professor Dosa shared insights from the team’s prior research on the effect of hurricanes in recent years. Q: You have studied the effects that hurricanes, including Katrina, have had on residents of nursing homes and assisted living communities. What have you found? If there is one thing we have found repeatedly in our research, it is the simple fact that older adults and hurricanes do not mix. Natural disasters such as Hurricane Florence have a profound destabilizing effect on older adults, who often have multiple medical problems including functional and cognitive limitations. They often also have medication and nutritional needs that suffer in the days following a storm. This is particularly true of residents of long-term-care facilities such as nursing homes and assisted living communities. Our research on long-term-care residents following Hurricane Katrina and other hurricanes found that many more people died following hurricane disasters than in non-hurricane years. These numbers were often significantly higher than the death certificate accounts cited after the storms. Q: What is your advice to residents in the path of a hurricane, based on what you’ve learned? If you are an elder living in an affected community, heed evacuation recommendations; ensure that you have ample medication and medical supplies in the days prior to the storm; leave the area if you have complicated health care needs or can evacuate to family or friends outside of the affected area; and ensure that you are carrying a list of your medications and medical issues in case you are not able to advocate for yourself in the days after a storm. If you are family member living outside of the area, make sure you inquire as to what your loved one’s plans will be in case cellular phone communication is not possible in the days after the storm. If they reside in an assisted living or nursing home, check in with the facility to identify what evacuation plans have been made or if some other arrangements have been made. Q: For nursing home residents, is it better to evacuate or shelter in place during a hurricane? Unlike some other disasters (e.g. earthquakes, explosions, etc. 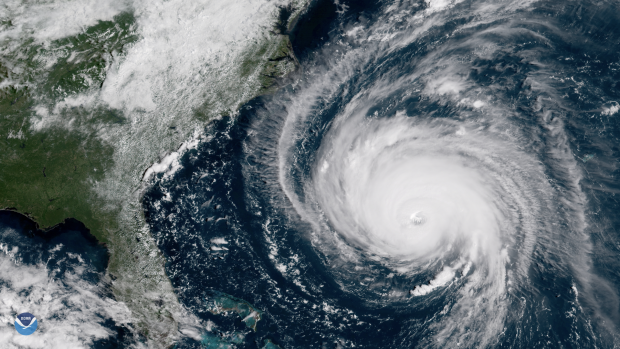 ), hurricanes do provide some lead time to prepare and make an educated decision on whether it is better to evacuate or shelter in place for a particular facility. Nevertheless, it is a difficult decision either way. Our previous work showed that for nursing home residents, it is generally safer to shelter in place if at all possible, especially if enough supplies and staffing can be arranged for the days following a disaster. In fact, evacuation itself was seen as an independent risk factor for death and mortality among the large cohort of nursing home residents we studied, even when you factored in the large number of deaths at several highly visible nursing home disasters. Q: What additional questions are you and your research team exploring with your new grant? With our new three-year grant from the National Institute of Aging, we will study the effect of Hurricane Irma in Florida and Hurricane Harvey in Texas on frail older adults living in nursing homes and assisted living communities. This research builds on our earlier work and will involve interviews with administrators at Florida and Texas facilities to understand their experience with sheltering in place or evacuating. We will also once again evaluate medical claims data to assess the impact of these recent storms on nursing home residents. Using a novel methodology that was developed at Brown University to identify assisted living residents, we will evaluate the effect of these storms on assisted living residents for the first time and understand how these facilities react to disasters such as Irma. Their new research is supported by the National Institutes of Health (grant R01AG060581).